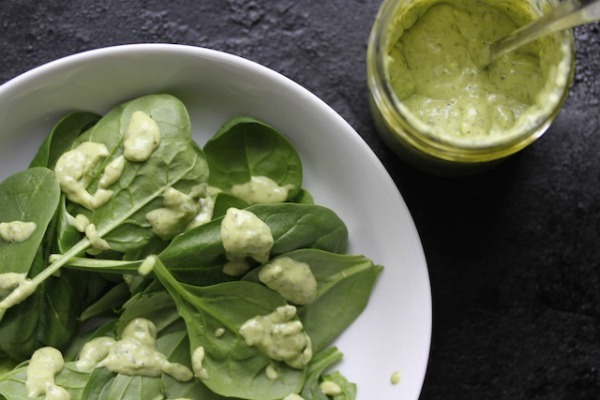 A Hint of Spring: Green Goddess Salad Dressing - The Co.
Oh boy. We are deep into winter now. I love the comfort winter-like foods bring. Beautiful, grounding, lovely meals. However, things can get a little heavy. And a taste of spring always does the body good (and your brain). I’m not talking eating out of season, of course. I mean finding a way to bring some green, freshness into the kitchen. Because that feels like spring to me. And sometimes it cuts through the ricness of all this (beautiful, grounding, comforting) winter food. This salad dressing is KILLER good. We all know how a dressing can make or break something as simple (and potentially boring) as a green salad. This dressing amplifies EVERYTHING. I just love it. The fresh herbs are definitely the secret ingredient here. I particularly love cilantro and parsley for their amazing ability to bind heavy metals. I throw in the avocado for a bit of extra green fibre power. But that is totally optional. This green, delightful goodness tastes green drizzled onto any greens (cooked or raw) and is perfect with Cobb or Nicoise salads. Throw everything in a food processor and let it do the work. Thin with a little water, if necessary. I store it in a mason jar. 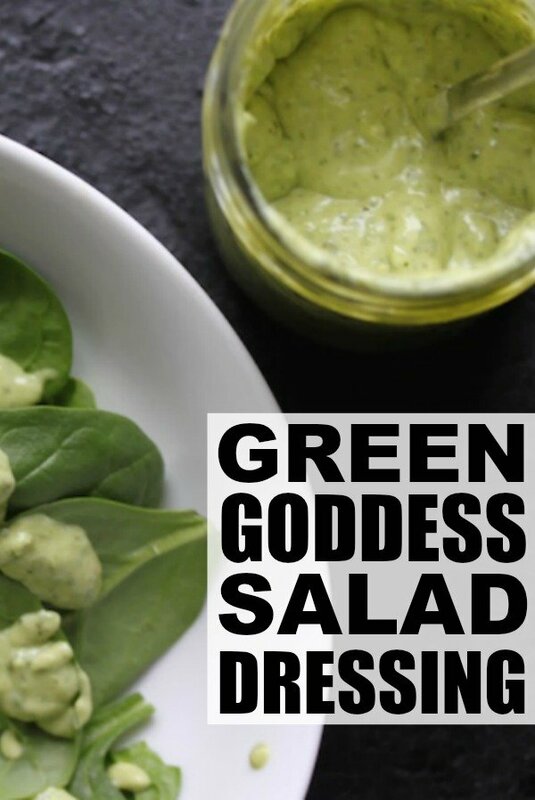 If you enjoyed this Green Goddess Dressing as much as we do, please share it on Pinterest! And if you’re looking for more recipes to add to your weekly rotation, please follow our Food board where we share all kinds of inspiration! Sara Bradford is as passionate about her cocktails and duck fat as she is about green smoothies. And thinks real, whole, awesome food should taste delicious no matter what. A culinary nutritionist who takes (and leads) group cleanses by storm — all the while knowing the most toxic ingredient is guilt. Her company’s work at Nourish ~ Real Food allows her to wade through the nutrition b.s. by providing hilarious wisdom and delicious recipes. 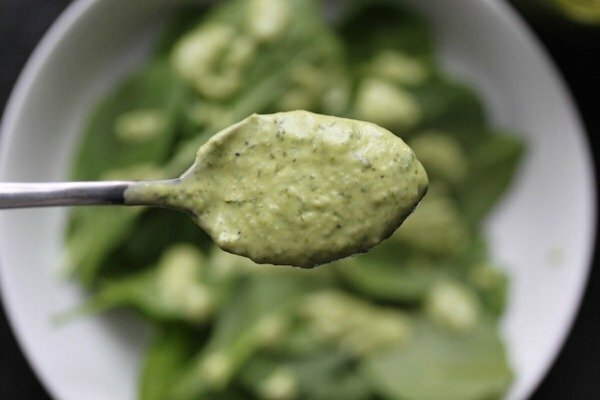 This is an excerpt from the article A Hint of Spring: Green Goddess Salad Dressing which originally appeared on http://www.cloudywithachanceofwine.com/.